Wow! There's a party in Cactusland! 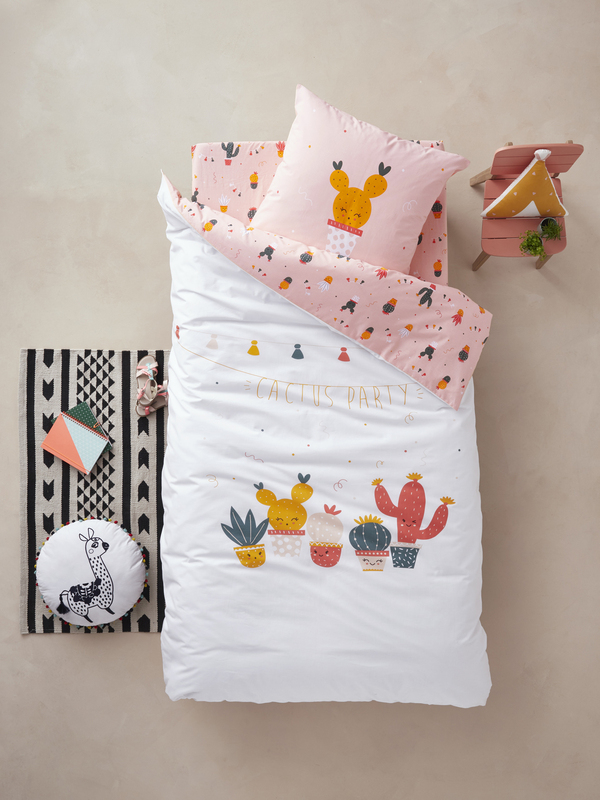 With pompoms and confetti, this set consisting of a duvet cover + pillowcase will invite your child to dream about festive themes.